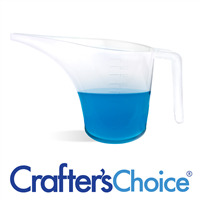 This Crafter's Choice Clear Glycerin Melt and Pour Soap Base is DETERGENT FREE and LOW SWEAT. Low odor, easy to unmold, hold fragrance. Finished soap performs like Cold Process Soap! The ten-pound block makes (40) 4 oz. bars of soap and measures 12" x 11" x 2.25". This soap has a creamy bubble lather and is hazy clear. 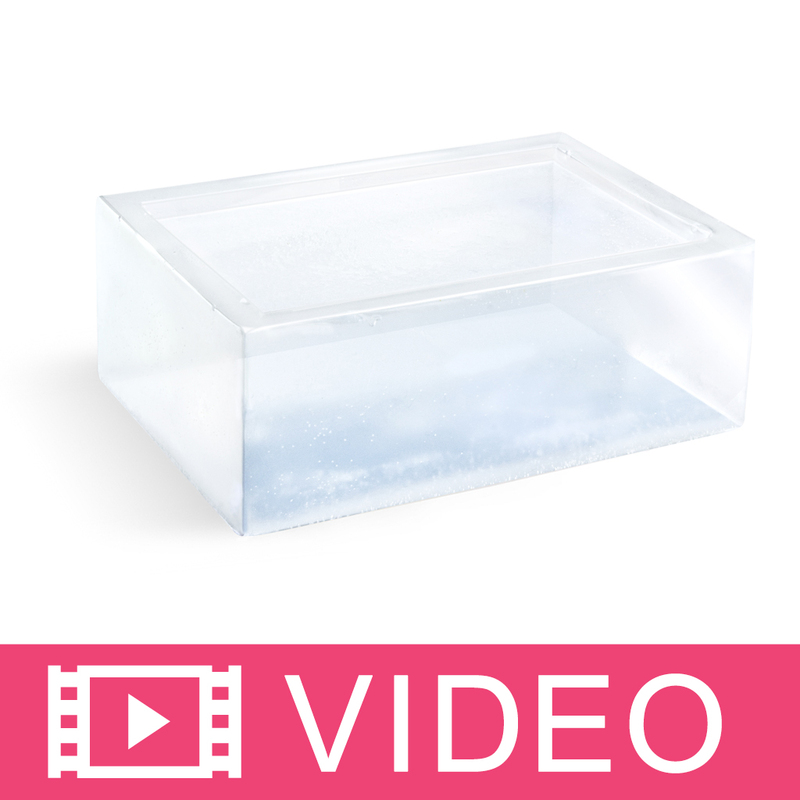 COMMENTS: This Detergent Free Clear MP Soap Base, is the only clear soap base I will ever use! You would think because it is detergent free, that it wouldn't have lather, or suds.. wrong! It lather's and suds up very well, and my customers absolutely love all my soaps made with this soap base. I can create amazing soap designs with this base, the clear base allows the vibrant colors to be vivid, and create beautiful soaps. "My go to detergent free clear ..."
COMMENTS: This is a fantastic detergent free clear base! Performs well while crafting soaps and in the final product. It's my go to clear. COMMENTS: Easy to use and colors very nico. "clear melt and poor base"
COMMENTS: This soap is so clear and has such a high foam! 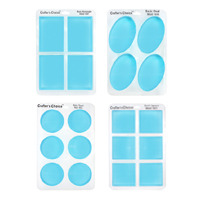 Easy to use, cut up, melt, color & fragrance and pour into a mold! It comes in a giant block inside a bag, and be prepared to cut it into little pieces off the block. It works for me and will purchase again! COMMENTS: My soap has turned out wonderfully. With my innovative packaging, I was able to sell over $300 within two weeks! I love the melt & pour. It is easy. The clear is fun because you can see the herbs, flowers and other goodies you add. "Ordered 10lbs and it weighed 9.2 out of the box!" COMMENTS: So I ordered the 10lb size of this soap base. As anyone else would, I removed it from the box, it was in a blue bag and packaged well, I weighed it on my scale and it come up as 9.2lbs. I am disappointed in this but nothing I can really do apart from hope that Whole Sale Supply Plus will look to ensuring they provide the customer with the size they are paying for. I am sure it works fine as a Soap Base but I haven't used it yet as I only received it yesterday. COMMENTS: this soap is wonderful, has a great lather in the finished product and takes any fragrance very well. would recommend this to anyone looking for a great mp soap. COMMENTS: It is always fun to use the Detergent Free Clear Base. So many creative ideas you can do to make your soap pretty. COMMENTS: Do love this soap. Melts very easily, molds perfectly. Awesome bubbles and I can label it “detergent free” and still have great lather. It is a nice semi-almost perfectly clear soap, makes for attractive soap! Thank you!! "great value for bulk orders"
COMMENTS: I love being able to purchase my MP base in bulk. This makes it easier to batch up recipes and it is easy to cut. I also love that it is detergent free! "Great MP base - low sweat low odor"
COMMENTS: Arrived quickly - easy to work with -- no issues blending in colors (liquid or powder) and held scents very well. Low sweat - I forgot to wrap a couple of bars and there was very minimal dew. Definitely would recommend - great deal for the price. COMMENTS: Wow! I have had nothing but wonderful feedback from my customers about the detergent free soap bases! COMMENTS: I love this melt and pour soap. It's perfect for my embeds and just making melt and pour bars! Looks nice and clear and made great looking "ice cubes" in my pink lemonade soap. COMMENTS: i loved this product, love that its detergent free, it melts so fast and smooth. i will only buy this from now on. "Detergent Free Clear MP Soap Base - 10 lb Block"
COMMENTS: Great size to keep on hand when needing to make small batches. COMMENTS: This clear soap base makes great soap. Soap coloring shows up very vibrant and true in this base. I love using this soap base, and my customers love the lather. COMMENTS: I really like this clear base. I wanted to start swirling and doing embeds and needed a clear base, so I tried 10 pounds of this one. It holds color perfectly, pours smoothly and fits my needs. No complaints. I bought 10 pounds to try it, and it’s already gone in a week. So many uses to make my soap more artistic. Great natural bubbles too! COMMENTS: I received my box but it says Detergent Free Clear nothing on the box says Low Sweat. I'm wondering if the box does not say Low Sweat on it? I am going to use it for embeds and live in a very tropical environment. COMMENTS: I enjoyed working with this product. I specially like that it is detergent free but it still suds up really well. I bought a 10lb box to make in-beds and it performed really well. 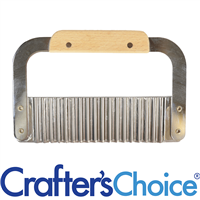 COMMENTS: I use this to make embeds to top my soap and cupcake bath fizzies. I have colored with mica and liquid colorant. I also use for solid sugar scrub cubes. COMMENTS: I am in LOVE with this base! this was my first time buying a 10 lb base, but I am very pleased. packaging was wonderful and as always the products blows me away. Thank you! COMMENTS: FIRST TIME I WORK WITH MELT AND POUR, A FRIEND SUGGESTED TO BUY IT FROM HERE AND I WILL BE FOREVER THANKFUL. THIS BASE IS SO NICE, SOFT TO THE SKIN, EASY TO WORK WITH, TO THE MATTER OF FACT, I AM ORDERING ANOTHER BLOCK RIGHT NOW. COMMENTS: For being detergent free, it is a very clear base and the lather is still very nice. I like creamy lathers personally. This is my go to soap base. COMMENTS: Better clarity and quality than my local craft store. COMMENTS: This is the main soap base that I use and will continue to purchase it. It is easy to work with, loads of bubbles, melts wonderfully and I always get an excellent product every time. My only complaint is it takes longer to set up when doing layers or a loaves, but I have learned patience from working with it. COMMENTS: First time using a detergent-free soap base. The end products do have a nice feel to it and it holds fragrance well. The only thing I have an issue with is sweat. The batch of soaps I made sweated enough to leave 'scars' behind when they finally eased on the sweating after 2 days. Other than the sweating, no complaints. COMMENTS: Some detergent free MP bases do not lather enough, but CC has mounds of creamy thick bubbles and this base is also very crystal clear. and have no trouble suspending when used at right temps. COMMENTS: Size is great to work with...amount is perfect for medium size projects. COMMENTS: I love that I can say my soaps are free of sulfates. The base is easy to work with and is clear enough for me to embed things into it. "Detergent free clear MP soap base "
"Great clear melt and pour soap"
COMMENTS: I like this soap base very much. It takes a bit of effort to work up a good lather, but I'd rather that than the SLS in the regular base. It's not drying at all, and it's easy to work with in terms of temp control and coloring. The only drawback is that it's not quite clear enough to see details of intricate embeds in single bar molds. Other than that it's perfect. COMMENTS: This soap base is very easy to use for melt and pour applications. It has very minimal cloudiness when fragrances are added. It has a nice lather, and seems to hold its form well. I will continue to use this product for my fragrance free customers who like a clear soap as well! COMMENTS: This base is still detergent free, and is so much easier to work with than the other base I tried! I love it! Highly recommended. "My favorite m & p base"
COMMENTS: I love that this base is detergent free. Micas shine beautifully in it and it takes fragrance very well. The new 10 lb. size works so well for me. Not as heavy as the 24 lb. but more economical than the 2 lb. containers. COMMENTS: I loved to make soap with this base, very versatile. COMMENTS: I've tried several different brands of MP detergent-free soap base and couldn't be happier with this base! It's always so nice to get in this 10# block size and cut it up in larger chunks for all of my creations. It melts easily, and takes color easily as well as fragrance. Although it's not perfectly clear, the colors that I can achieve with it are just beautiful. While I normally use the extra clear base for my see-through designs, the old trick of adding one, small drop of liquid blue colorant to this base clears up the soap in a jiffy. Tightly wrapping the finished product always helps with any sweating that may occur in very humid climate. As I make soap only in humid climate, this base is a dream. • Ease of use. Great size. COMMENTS: I make sure that I always have this m&p base on hand for various projects. It's so versatile and can be used in many applications. This soap base is nice because it doesn't irritate my skin like detergent based m&p soap does. COMMENTS: So much moisture lovely! "Good, but will try other varieties"
COMMENTS: This soap base performs well, but I have noticed a little bit of sweat on some of my projects. I'm going to try another clear soap base from Wholesale Supplies Plus and see how it does in comparison. COMMENTS: Use for all my cp soap embeds. Love it. COMMENTS: Love this detergent free M&P! Great product! 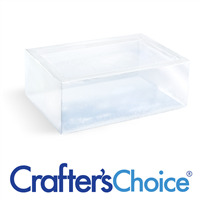 "Crafters Choice Detergent Free Clear MP Soap Base "
COMMENTS: I was looking for a nice, clear multipurpose Soap Base - and I was not disappointed! This is the perfect MP Soap Base for an endless amount of uses! I have used this for soaps, as a drizzle for bath bombs, as embeds and for dunking CP into for garnishes! This base is excellent (as all of Wholesalesuppliers products are!!) - don't be afraid to order this - I will be ordering another 10 lb block soon! • It's perfect for all my needs! • Perfectly clear & melts wonderfully! • Accepts color & fragrance smoothly! • Nothing! It's a perfect base soap! COMMENTS: Love this detergent free base! COMMENTS: This base preforms very well. I never noticed any "sweat" but I am in a dry climate. A bit more clear would be nice but not a deal-breaker. I found that I needed more scent than usual. Ten pound blocks can be tiring and time-consuming to break down but worth it if you need to save a little money. I had a little trouble with layers separating but don't know for sure if that was user-error or not. COMMENTS: I use this to make cupcake soaps with toys inside or on top for kids. Also mix it and use as a drizzle. Looks great with color and glitter. COMMENTS: This is my new favorite base. It is very easy to work with and I love the low sweat and minimum ingredients. COMMENTS: This is the best Melt and Pour base Ever! Very sudsy, very clean and mixes wonderfully with all my natural ingredients! COMMENTS: Low melt point, no sweating, stays liquid for projects that require more play time. Readily accepts fragrance and mica colorants. For other colorants that need to be mixed with glycerin, there has been no issue with glycerin dew sweat. Good sized chunk of soap, not too heavy or thick to cut through. Not great for layering colors because it stays soft longer than other melt and pours - I'm patient, but not THAT patient! COMMENTS: I love this M&P LOW SWEAT clear. I use it for my embeds on top and in the middle of my soaps. When I am testing fragrances I use this medium all the time! COMMENTS: I love this product and the fact that is is low sweat is a perfect bonus. The package is a little scary but thankfully I have teenage boys in the house that like cutting it up for me. "I LOVE this Detergent-Free Clear Glycerin Soap!" COMMENTS: I love everything about this product, except the way that it is packaged. It makes it really hard to cut off pieces as I need it. But, everything else is wonderful. I love that it is Detergent-Free and I am giving my customers the best quality of soap by using it. I will not order from anywhere else, and I love the prices!! • I love the suds. • I love that it's Detergent Free! • I love it in my soaps! COMMENTS: I always have to have this in my home. I have bought several. Very convenient to have 10 lbs at a time. I may have to upgrade to 24 lbs. I use this more than anything. COMMENTS: Produces a super creamy soap that feels totally different from store bought soap, and looks beautiful with the stained glass colors. COMMENTS: Perfect for creating different colored soaps. Suds wonderfully. 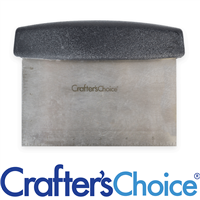 COMMENTS: This was my first use of Crafters Choice Detergent Free Clear MP Soap Base, and I must say I am HOOKED! I love the clarity of the product, how quickly it melts and how long it stays liquid. I love mixing the clear with the white base to make swirls. Both micas and liquid colors mix well in the base, and it produces an excellent lather! COMMENTS: Use this to make my fish in a bag soap! Works really well! "Nice size and a good bargain." COMMENTS: Easy to cut using a soap cutter. Good lather. "Truly feels like cold process soap." COMMENTS: So easy and quick to whip out a bunch of batches of soap. This soap feels like cold process soap when used. "Will the box say Low Sweat on it? " Staff Answer The box will not say low sweat. 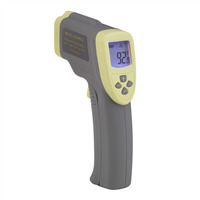 It contains the product name, batch label and identifying information. "in comparison with the premium extra premium clear soap base as far as this base is turbid?" Staff Answer The Detergent Free Clear soap is more cloudy and slightly yellow compared to the Premium Extra Clear Soap Base which is clearer and has no color to it. "I'm going to a vegan market, would this base be considered vegan?" Staff Answer All ingredients are plant based. "This base seems to take longer to set and be able to unmold than I am used to. I can usually unmold M&P within 30min or less with the small soaps I use it for. This one took about 24 hours and the finished product is still pliable and soft, bendable. Do you think this is due to the humid climate in my area or is this the nature of this particular product? Is there an additive I could use to harden the bar? Or should I be looking at another base to try?" Staff Answer The Detergent Free bases are a little softer than the regular ones. And, it can definitely take longer to set up because of the humid climate. You can try adding some kaolin clay to melted soap to harden. "Is there any way to get sort of a "variety pack" when ordering 30+ lbs in 10lb blocks? I.E. Clear, white..."
Staff Answer In order to purchase a variety of 10 lb. blocks, you would need to purchase the full 10 block size (100 lbs) and then you can customize these. You would need to call your order into our Customer Service Department so they can manually adjust your order. "Is sorbitol the main ingredient since it is the first ingredient also is this animal or vegetable based?" Staff Answer Sorbitol is not the main ingredient, it is simply listed first. Also,the sorbitol used in this soap base is vegetable based.